If you’re here to marvel at the romance of R?ga’s architecture, then the Old Town, or Vecr?ga, probably offers the best places to stay in R?ga. Over 800 of its buildings are in the Art Nouveau, or Jugendstil, style and there are some beautifully intricate facades and ornate doorways and windows. If you’re here for a city break, to sample the experimental cuisine and famous nightlife, then the city centre or Centrs is probably the best place to stay in R?ga. Vibrant R?ga, with her elegant Gothic spires and delightfully organic, Art Nouveau Old Town, is home to a third of Latvia’s population. And it’s quickly obvious why so many people want to live here. As well as her wonderful, Heritage Listed appearance, R?ga is bursting with new ideas and energy, from the modern art galleries to the zeitgeist-y restaurants and bars. The small combed streets of the Old Town are where many of R?ga’s main sights can be found. The R?ga Cathedral, St. Peter’s Church - which dominates the skyline, the fun and life of the Central Market - housed in a line of old WW1 Zeppelin hangers, the Art Nouveau Museum and the Art Museum R?ga Bourse, the powerfully evocative Arsen?ls Exhibition Hall - built in the 1830s to store the weapons of the Tsar’s army, the multiple memorial statues and the wonderful old guildhalls and get houses. And you’re almost as spoiled for choice when it comes to museums and monuments as you are when it comes to architecture here. There are also great markets, world class festivals and one of the most progressive, cosmopolitan foodie scenes in the Baltic region. If you’re here for more than a few days you might want to explore a little way outside the centre of the city, beyond the green parkland of the Pils?tas kan?ls, the city’s old moat, beyond the Agenskalns and Tornakalns areas and the concrete residential blocks of the Soviet era, and the blueberry forests and sand dunes, to glamorous J?rmala with its white sandy beaches on the gulf of R?ga. This city is growing in popularity as a tourist destination, so if you want to guarantee a room in one of the best places to stay in R?ga, you'll need to get organised and book well ahead. The Dome Hotel & Spa is a gorgeous five star hotel with has just 15 boutique style rooms. The decor is a blend of modernist and traditional and there’s a great spa, afantastic seafood restaurant and a rooftop wine bar. The Centra Hotel is perfectly positioned in the Old Town, within walking distance of many of this city’s main attractions. There are 27 simple, contemporary rooms and a very nice cafe. Grand Palace Hotel has 56 elegant, five star bedrooms - some of palatial standards, plus a rooftop bar, a choice of restaurants and a gym. The Hotel Neiburgs is an elegant hotel with 55 rooms, some with kitchenettes. 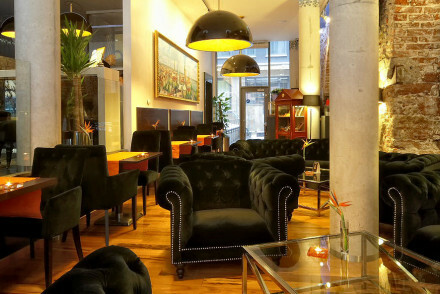 The decor is sophisticated and there’s a lovely library, and an excellent restaurant and spa. The Old City Boutique Hotel is a charming boutique hotel with 65 rooms divided into two parts, the traditional and the contemporary. Between is a lovely central atrium. There’s plenty of living space and you’re at the heart of things. Rooms start from less than £50 per night. Still not sure which is the best place to stay in R?ga for you? Browse through our list of all the best places to stay in R?ga, or contact one of our friendly Gurus for advice. Perfectly positioned in Riga's Old Town within walking distance of all the main attractions. Simple contemporary rooms with lots of natural light and air conditioning. A good breakfast and lunch cafe, buffet option for dinner. An excellent value spot for visiting Riga. Sights nearby - Monument of Freedom, National Opera House, Dome Catedral, City Council and Parliament. 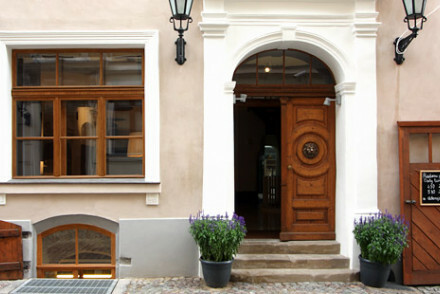 A chic boutique hotel in the heart of historic Riga. Smart suites offer ample space, fabulous views across the city from the floor to ceiling windows and luxurious bathrooms. Featuring an indulgent spa, summer terrace, gourmet restaurant and gym. The ideal base while you explore the city. Local exploring - Ideally located to access many of Riga's restaurants, shops and cultural attractions. Local markets - Get a real sense of Riga in the Central Market - the largest market in Europe. 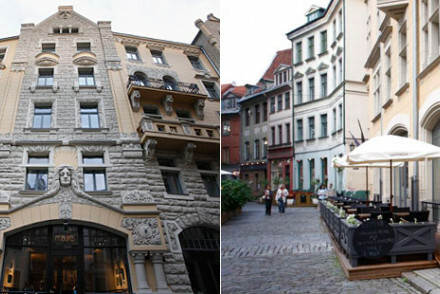 Great walks - Take a walk around the Art Nouveau district. A gorgeous Five Star urban boutique. Stylish rooms and suites combine modernist lines with traditional materials to create clean but cosy spaces. Fantastic fish restaurant and roof top wine bar, extensive spa, and walking distance to all the attractions. Roof terrace - Lovely roof top wine bar. 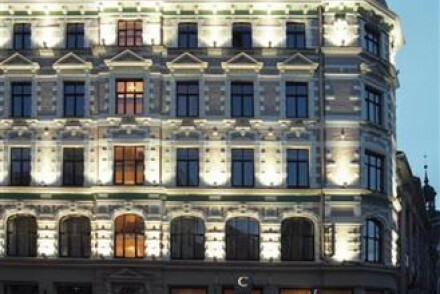 An elegant and sophisticated hotel in the heart of Riga. 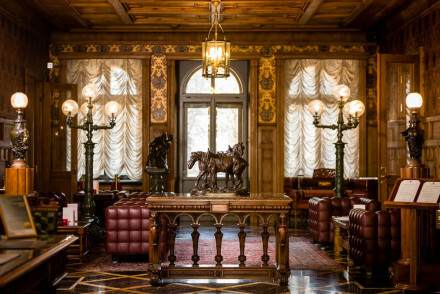 Large opulent rooms boast classical furnishings, antiques and valuable artworks. The award winning restaurant Renomme serves delicious French cuisine. A chic bar, spa, pool and gym for relaxation. Its a grand affair. 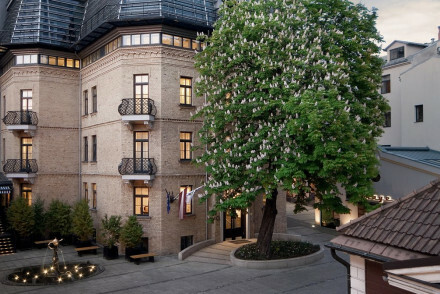 Local exploring - Located in the historic centre of Riga, close to the Art Nouveau district, Old City and the finest museums and galleries. 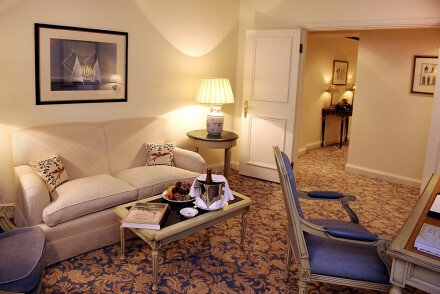 Romantic Break - Perfect for a romantic citybreak- elegant suites, excellent service, fine dining and pampering spa. Foodies - The award winning restaurant serves stunning creative cuisine paired with exclusive wines. Sights nearby - The Latvian National Theatre, Nativity of Christ Cathedral and the Latvian National Opera are all within a few minutes walk. Five Star elegance in Riga's Old Town. Palatial rooms and suites in creams and blues, wonderful restaurants and roof top bar, good fitness facilities. A romantic spot close to all the main attractions, family friendly too. Sights nearby - Riga Castle, Three Brothers.